You can take 1-2 ounces daily to flush toxins out everyday. Take in morning or as a hot tea anytime. 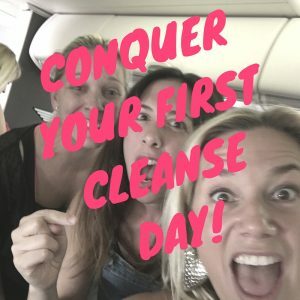 1 Day Cleanse **MOST POPULAR! You drink the cleanse drink 4x a day and will have small snacks throughout the day. You can start your 24 hour period in the morning and last an entire day (recommended) or you can start at noon one day to noon the next day. Break it with a shake! This gets into the pesky fat stores in your body, even the visceral fat around your organs… you’ll be surprised that day 2 is usually easier than day 1! Isagenix makes cleansing your body of toxins fast and easy. The one day Isagenix Cleanse for Life system fills your body with the nutrients you need. It is designed to keep you feeling balanced while stimulating your body’s amazing natural ability to cleanse and detoxify. Besides losing weight, cleansing helps improve your health and boost your energy. It is a habit that has been practiced for centuries because of the amazing health benefits. 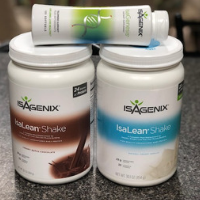 Besides a nutrient filled drink, Isagenix has specially formulated snacks and IsaDelight chocolates to help you manage your hunger on cleanse days. KEEP BUSY. STAY FOCUSED. GET EXCITED! Sarah Gore Create a schedule and stick to it. Also, stay busy but not overly active. Today is a good cleanse day. Getting work done and drinking lots of water. Toni Andrews Daniel Be busy, lots of water, if you need to cook for others do it before. I didn’t, that was really tough. Laura St John Oh yes, that’s a good one Toni — for true “survival” it’s so much easier to just heat up a dinner you pre-made for your kids and family…. So. much. easier! Erin Sullivan Stay off pinterest.. that’s just torture and cleanse with a friend! Accountability helps! Toni Andrews Daniel The TV has tons of ads for food. Don’t turn it on! 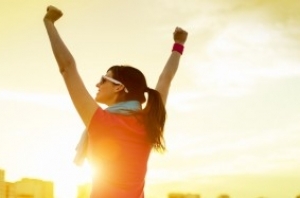 Katherine Kempf Parodi Have a healthy mindset from the beginning. Big accomplishments don’t come from inaction. Failure is not bad or wrong, it happens to everybody who is out there doing something. Just do your best and each time top yourself. 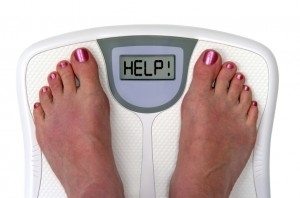 I ate CHOCOLATE, like, a lot, my first cleanse… not stellar. Did I give up or beat myself up? No way, just did better the next week and ate an avocado. Maybe one day I’ll do it as intended but either way, a cleanse day can’t harm you, there’s nothing to fear at all. But what may be helpful for me is to start my cleanse by skipping dinner and continue the next day and be done before dinner, that way I’m essentially eating everyday and yet accomplishing a 24 hour cleanse. In the end, It’s her journey and she will find her way through it to suit her. Summer K. Lane I work as a waitress and actually like doing my cleanse during a work day. I’m so busy I don’t have time to remember that I’m hungry. Summer K. Lane I also like doing my cleanse from noon one day to noon the next. That way I’m asleep for a lot of the cleanse. plus, when we sleep is when our bodies do all the digesting/waste removal stuff! 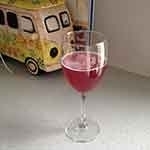 Julie-Ann Jordan THE ONE THING that got me through my first cleanse day was the encouragement from people on SCL!!! Without them checking in with me, giving me virtual high fives and helping me down the home stretch, I would never have had a successful cleanse day!!! Honest to God!!! Reba Lauth Malandra For me, I remind myself of what is important to me and my health is the number one thing I value. This call is hosted by Isagenix Corporate — Clinical Nutritionist Dr. Ina Nozek, DC, MS will answer your questions. Need an answer to a frequently asked question right away? 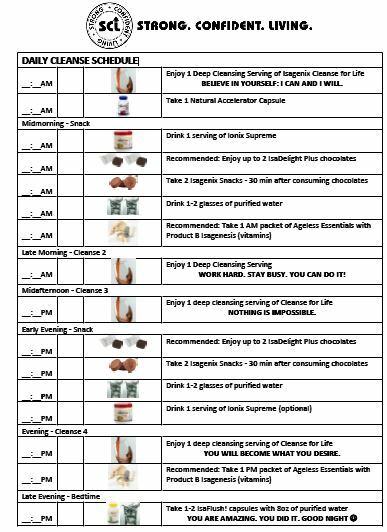 See Dr. Ina’s “Top 25 Questions About Isagenix”or “11 Questions to Ask Yourself When The Scale Won’t Budge”.